Through the years Norm Nelson concentrated on quality and did not compromise in any way that would affect this main objective. The second generation, Jerry, Jim and Norm Jr. carry on that same philosophy and focused on getting top quality product to the markets. All seed is conventionally grown without genetic alteration. The majority of seed comes from within 50 miles of our farm, allowing regular monitoring of the seed crop through the growing season. We keep a watchful eye on the contents of every carton and bag that leaves the warehouse, resulting in the “Double N” label being the standard for red, white and yellow potatoes over the years! The Nelson farming and packing operations do not take any short cuts that may affect the main objective — a premium quality fresh potato delivered to the market place. 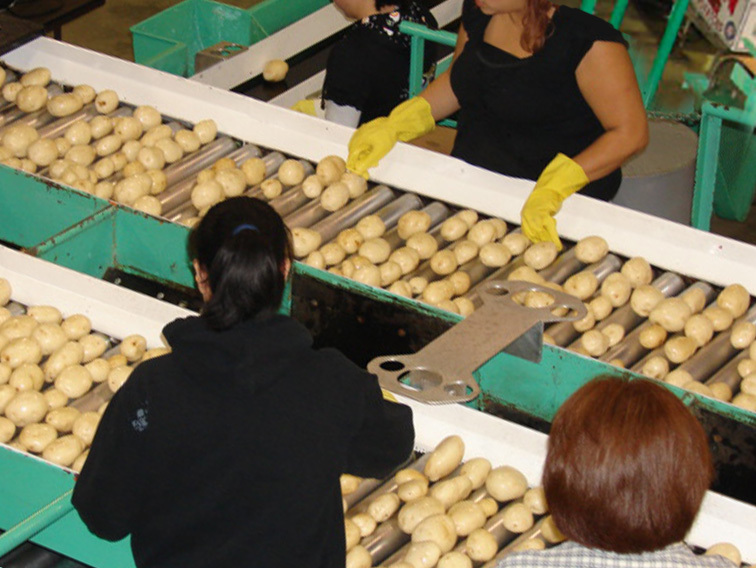 By packing and shipping only potatoes grown at the Nelson farm and with constant emphasis on quality, consistency is a natural by product. The objective is to ship the best possible pack regardless of market influences so buyers know once you start with the “Double N” label, you will be satisfied every time you open a carton. Service is another component of the “Double N” reputation. Over the years Nelsons have updated mode of transportation, packaging and varieties to keep the customer satisfied. Originally the product was shipped in 100-pound burlap sacks. Now much of the packaging consists of attractively designed, 50 pound corrugated cartons. This provides eye appeal and greater protection and ease of handling during shipping. Over the years Nelsons have also added many different “consumer packages” to accommodate the ever changing demand for convenience by the consumer. The transportation of potatoes has changed from primarily refrigerated rail cars loaded directly from the plant to trucks with refrigerated trailers loaded from the warehouse dock. 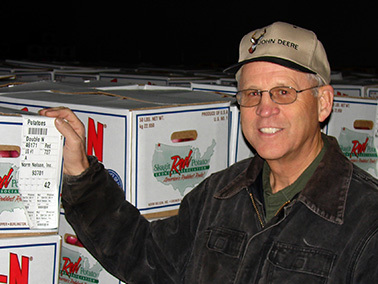 The distribution of Double-N potatoes originates from the sales team of Myron Ayers and Scott Wharton. 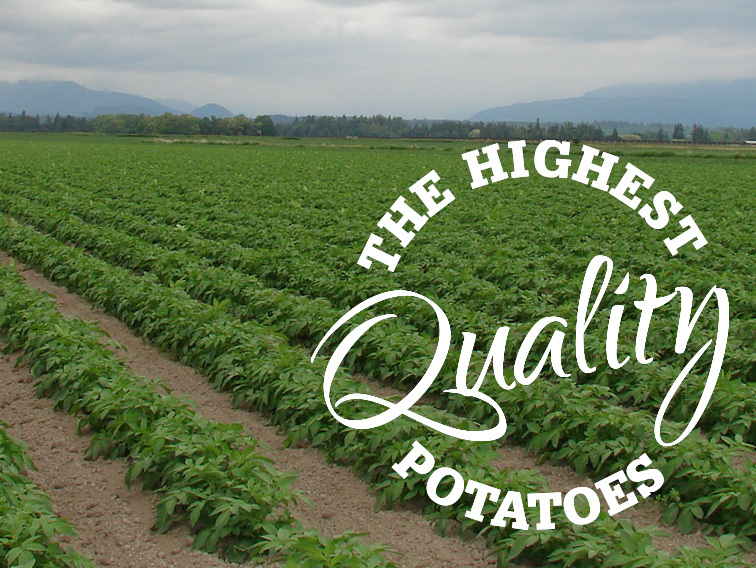 They maintain a network of well-established, reputable customers and carrier contacts to meet their needs for marketing superior quality potatoes. Norm Nelson Inc.’s team is constantly looking for better ways to service its customers and maintain the status of the Double-N label.